short girl, long island. : Teach Me Something Thursday, Volume Eighteen. Welcome to the first TMST of the new year! The eighteenth installment is from Amber, the blogger behind My Three Bittles. 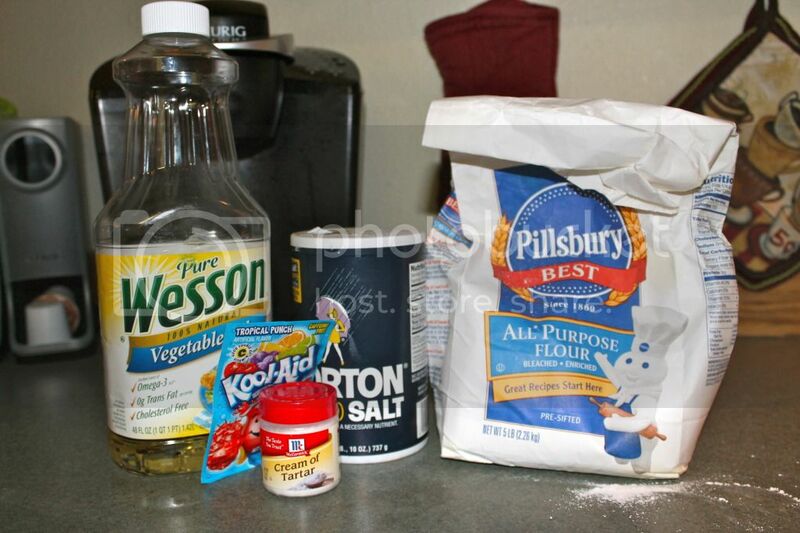 Amber teaches us how to make play dough from ingredients sitting in your pantry! This is an excellent activity to develop fine motor skills in little ones [the teacher in me HAD to tell you that]. 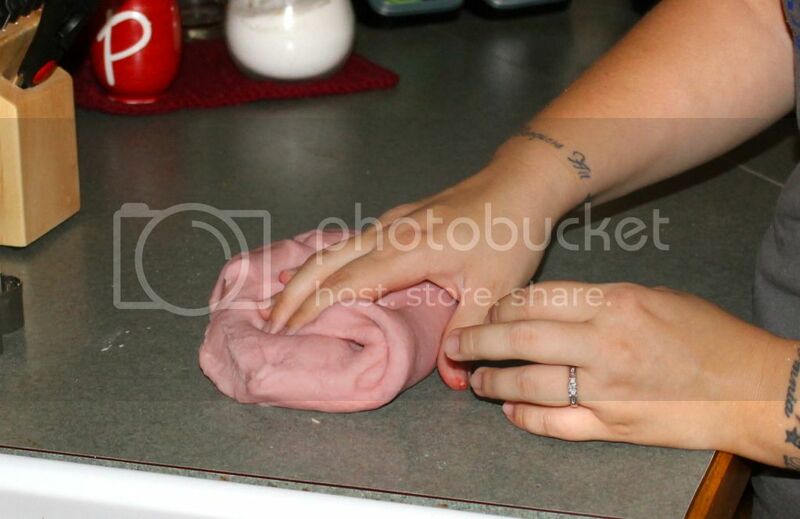 Hey guys, I'm Amber of My Three Bittles and today I'm going to teach you how to make play dough! YAY!!! !My kids got so super excited about this and spent FOREVER playing with it. 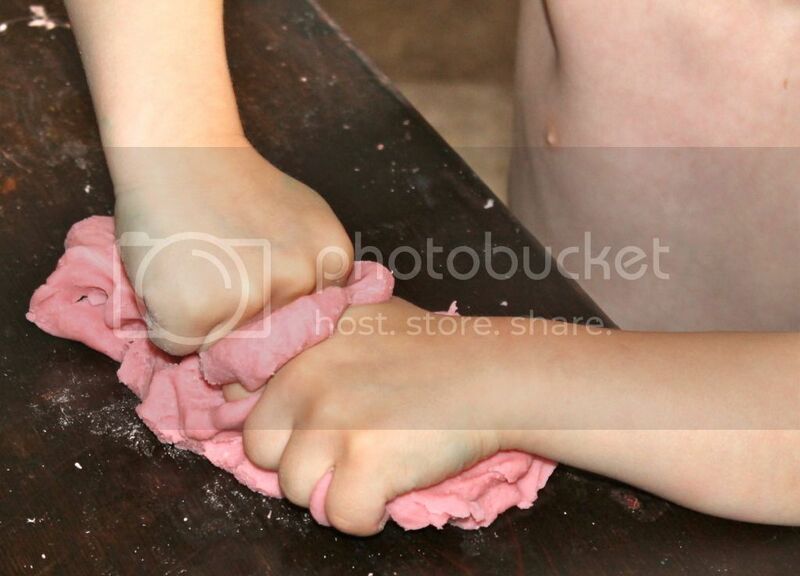 So, let's make some play dough, shall we?! Yes. I think we shall. It's QUITE simple really, but I've been in such a "let's share" mood lately, that I thought I'd photograph the process and share with y'all. Go on and mix up your dry ingredients into your pot. 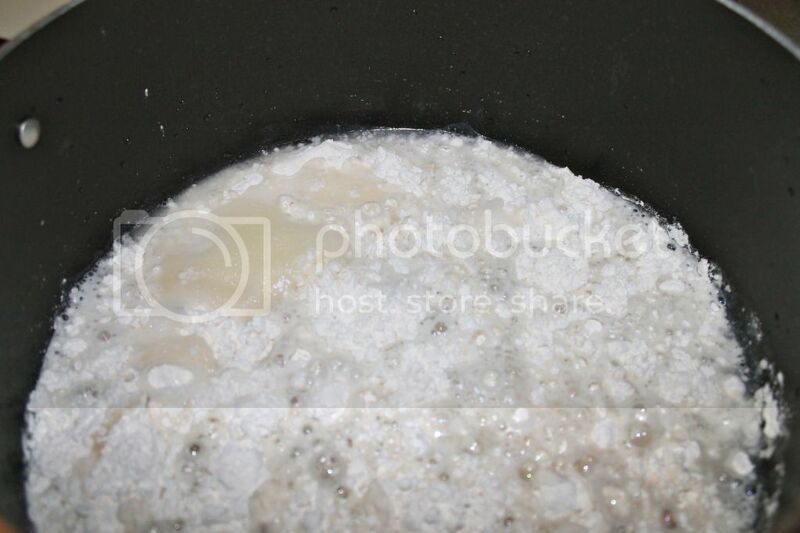 Then add the oil and water. 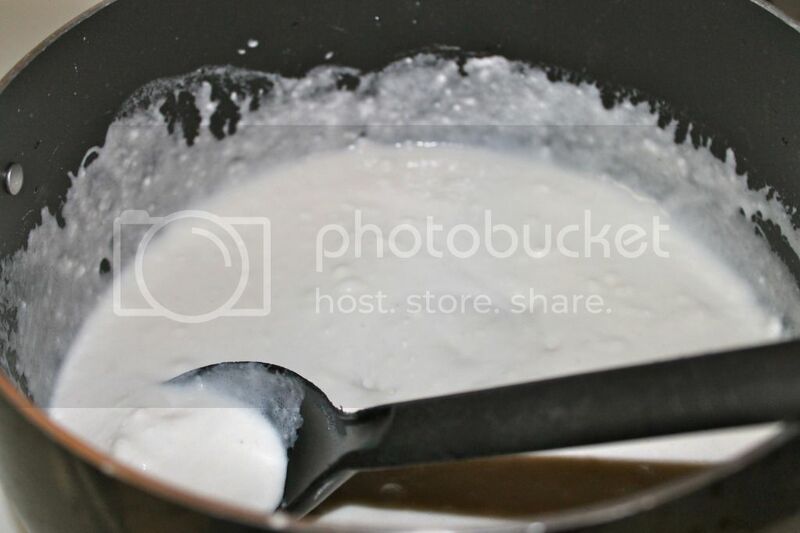 Cook over medium heat until mixture forms a ball. 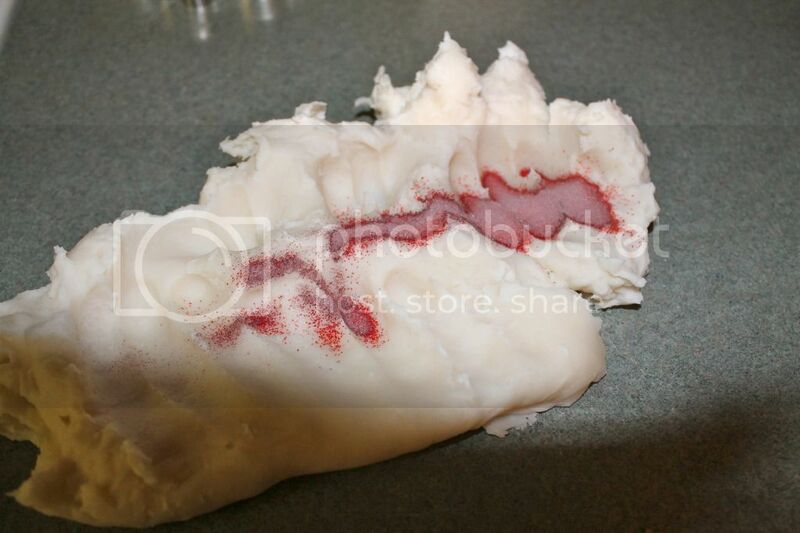 Dump onto counter or wax paper and knead, knead, knead the Kool-Aid into it. Then watch little hands play. 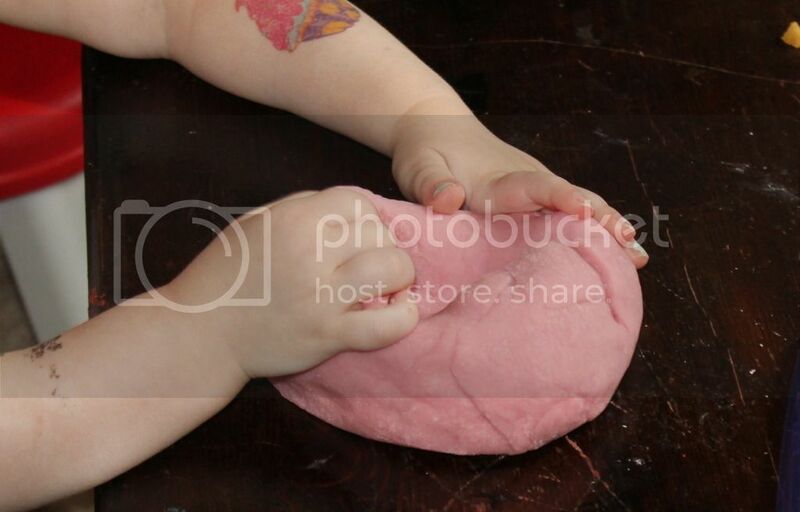 And sometimes your kid will be so grateful that he'll make you a play dough heart and melt your heart. Visit My Three Bittles for recipes, crafts + everything else in between!